If you listen to Brother Ali, then you know he speaks what he feels. I’ve liked some of his songs that I’ve heard so I decided to check out his new album. Ali talks to his fellow man about his views of life in America. The production is just right for such a message. This was a good track to start off with. Words from Cornel West at the end. The lyrics speak to more than your ears as Brother Ali speaks on the realities of the lives people live these days. Jake One provides heat that pushes this song to another level. I’m feeling this one. After giving his thoughts on the war to the current state of America, he still has hope “I aint hating I still want to believe it / and I’m not trying to leave it, i just call it how i see it”. Aint nothing wrong with that. Ali turns up the volume here with a more aggressive flow to match Jake One’s vocal and synth-filled melody. Overall, this is a nice track regardless if you agree with his opinion of America or not. The call to the people to “gather round” to make a change in our world. The power is in the people to make a change. The chorus is good but a bit long, this song is solid after a few listens. “everyday, everyday, got to work everyday!” is already stuck in my head. Here he tackles the struggles of employment, the actions of government and its effect on the people. You can’t help feel what he’s speaking about as I’m sure we all know someone down on their luck. Love the vocal sample during the chorus. So far, this album has been consistent from both the lyrical and production side. Clever track where the verses sounds like he describing some type of illegal way of getting money when at the end you find that it is a legal job. A Bun B sound bite carries the hook over another Jake One banger (the beat peaks during the chorus). Although its a solid track, it sounds out of place on this album. Jake One’s streak has ended here. Not feeling this beat at all. Same goes for the chorus BUT the lyrics are on point. The music industry is disguised as a horror story. Many kids still try to make it to “get a major label deal” but the end result remains the same, not quite what you were thinking. Another thought-provoking track, the lyrics is the only shining point to me. Brother Ali ripped this. Amen. I like how his flow gradually builds throughout the verses. He rode this beat perfectly with noticeable energy in his words. A subtle choir sample mellows the ride over stiff drums. The synth pattern during the chorus is a nice addition. This is deep track thats worth a listen. Speaking on the person is he was named after, he touches on events about Muhammed Ali and his courage back in the day. This sample has to be fresh out of Motown. The vocals in the sample stitch to the track like actual background singers are behind Ali as he speaks. Its a short track but a good one. A lighthearted beat with not so lighthearted lyrics. A story of a personal situation in his life that lead to his divorce and also his relationship with his child. dope sample. A solid track about friendship and love. The overall vibe gives off a good feeling that gets better and better after every listen. Great way to end of the album. Singing this song, let the whole world know. 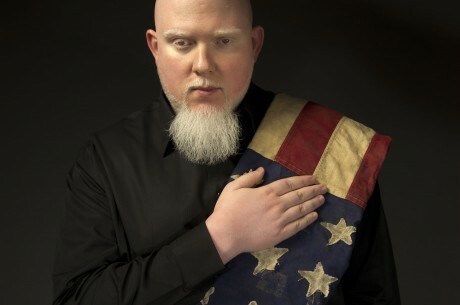 With the upcoming presidential election, Brother Ali gives a lot of food for thought for his listeners. All the songs aren’t politically driven though, the subject matter is well balance. That was my biggest fear listening to this album – that it would go stale by the middle of it, but it doesn’t. No matter what, expect to hear verses filled with substance of some sort and expect to hear great production from Jake One. This turned out to be a good collaboration between the two, only a few small missteps. 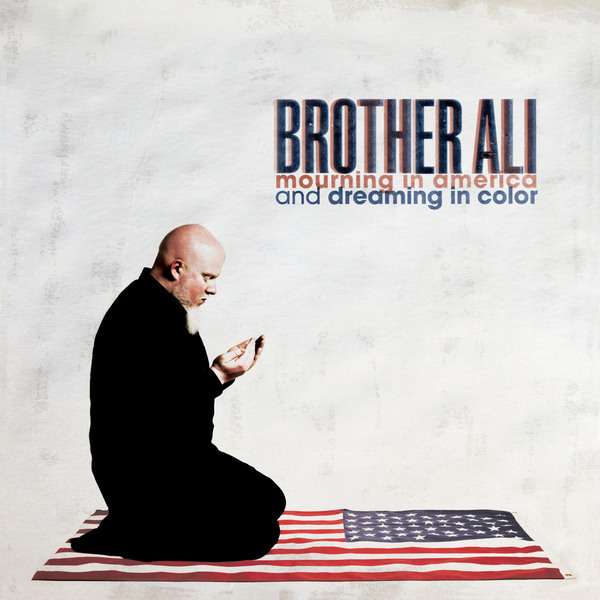 Brother Ali shines with his thought-provoking verses, easily the strongest point of the album. I’m impressed with this offering. This is worth the sync to the pod.